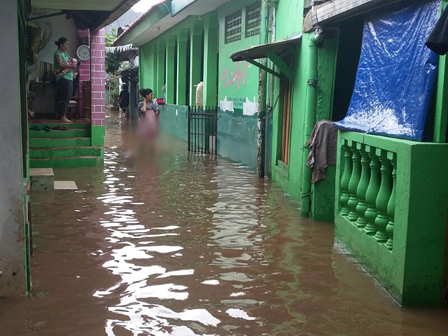 " Normalization process for Krukut River is still ongoing"
Floods that occurred in Kemang area, South Jakarta could be resolved if the Krukut River is normalized. This is because the river is currently narrowing and shallowing. Mampang Prapatan Sub-district Head, Asril Rizal disclosed, if the river was not normalized, Kemang area would remain prone to flooding. "Normalization process for Krukut River is still ongoing," he stated, Wednesday (2/22). According to him, inventory toward land that will be acquired has been conducted. There are 36 buildings in RW 02, Bangka Urban Village that will be affected by normalization. "Land acquisition is done by Land Procurement Committee and Jakarta Water Resources Dept.," he finished.